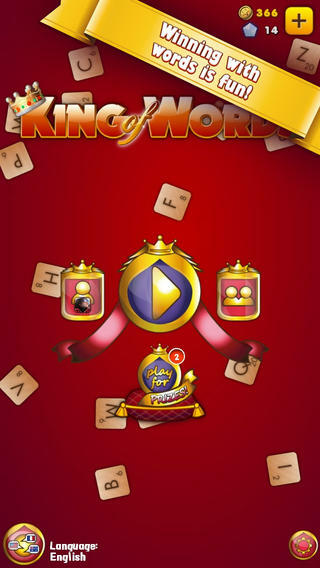 King of Words is an iPhone game developed by Star Arcade Oy. 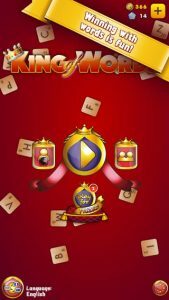 If you like free word games, King of Words is a title that is well worth checking out, no matter your skill level. After I played with King of Words, I really felt like this game was sort of like a “gridless,” free form version of Words with Friends or Scrabble. That’s not a bad thing by any stretch of the imagination. Rather than making words on a grid and scoring by clever tile placement, you fish tiles out of a central pile and use multiplier power ups to increase your scare. 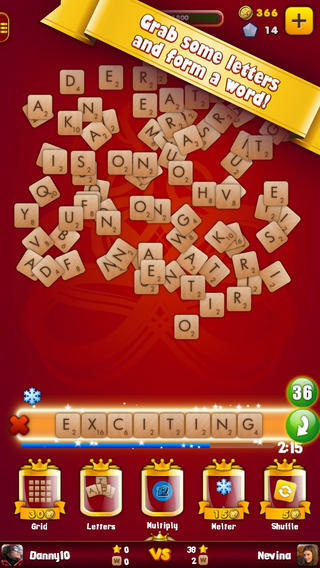 One fun thing you can do is use long words to send “ice attacks” to your opponent, obscuring their view of the board. It makes this game feel really fun! 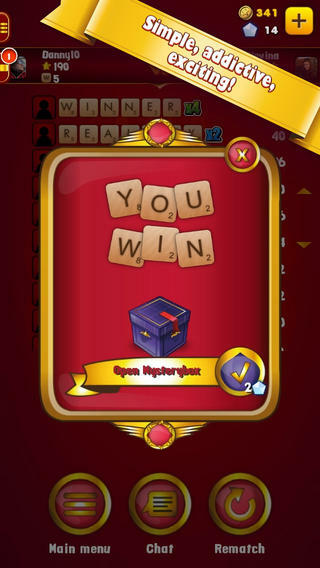 You and your opponent draw from the exact same pool of 90 letters to create your words. The dictionary appears to be fairly solid here, with some unusual words getting past the submit button no problem. The controls are solid, and the UI is simple to navigate, making this game fun to play. There’s a fun tournament element to the game that allows you to play with players from all over the globe. You can compete for prizes, which is fun. On the downside, if you want to play, you have to wait to be assigned to another player, which can be a bit of a bummer. My wait wasn’t long, though. 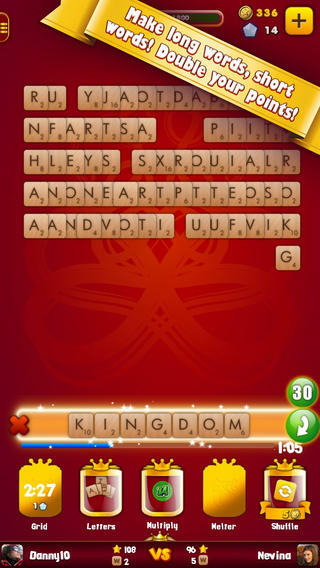 One thing I did dislike about King of Words is that the game sometimes takes longer than I would like to load. The tutorial was also a bit long-winded for my taste, thought at least it was comprehensive. King of Wordsis compatible with iPhone, iPod touch, and iPad. Requires iOS 5.0 or later. This app is optimized for iPhone 5.